Chinese multinational Huawei has released a systematic metrics for mobile communications to tap the connection experience of Internet of Things (IoT) devices. Launched at the Global MBB Forum 2016 in Tokyo by Ryan Ding, President of Huawei Products & Solutions, the Things Coverage methodology includes an approach to evaluating the quality of an IoT network, and planning mobile networks that must serve things as well as people. 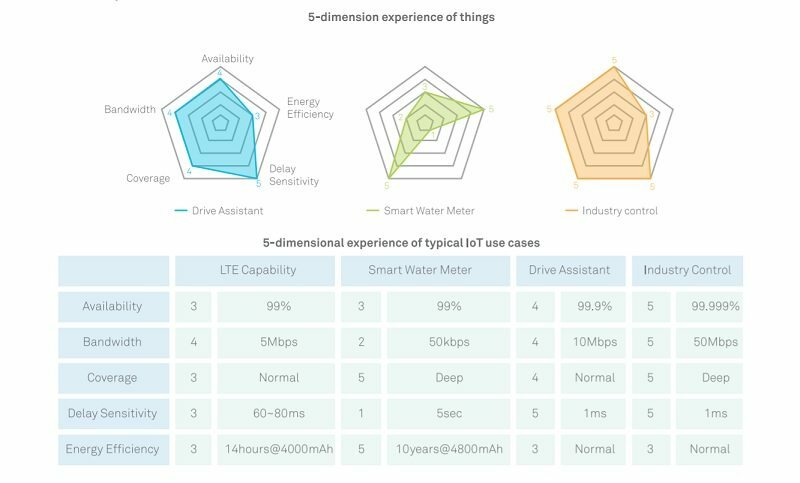 According to the company, this new methodology provides a set of quantitative standards which can serve as reference for the entire IoT ecosystem, from telecom operators and device makers to users. Furthermore, coordination across the ecosystem will help operators roll out their networks fast maximize the value of the IoT. Huawei explained at the Forum that building IoT-ready networks is a challenge for operators because of the vast number of different IoT applications and services. Hence, operators have been looking for a new network planning methodology which will help them meet the demands of IoT connections, maximize the value of their IoT services, and provide a superior IoT experience. The combination of scores across the five dimensions gives a connection quality baseline for each type of service: smart metering, connected cars, industrial controls, among others. On this basis, Huawei proposes a Things Coverage network planning methodology to focus on the need to connect things as well as people. The methodology also includes a series of radio models, with different combinations of wireless connection features, for different types of application scenario. These models are then mapped onto network maps showing where the various services are needed. The maps, the company explains, will guide later service provisioning based on key dimensions such as grid-level coverage and battery life. Huawei claims that using the Things Coverage methodology, operators will be able to roll out targeted IoT services efficiently across their existing mobile broadband networks, while maintaining low cost of operations. After service provisioning, it also claims to provide standards for monitoring data traffic and energy consumption to ensure that service quality remains at the required level, and more services can be deployed as the IoT network grows. The ICT solutions provider expects to quickly develop auxiliary tools to support operators as they apply Things Coverage during the construction of their networks. The company aims to collaborate with more operators and vertical industry partners to develop a comprehensive system for evaluating IoT networks, and a planning standard for network construction.